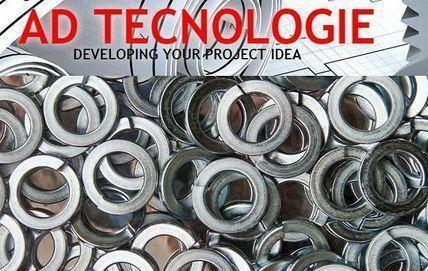 AD TECNOLOGIE, Saibe, washers, conical washers, pe EUROPAGES. We create moulds, design and manufacture washer fasteners. We create moulds and carry out turning for all types of requests. For design we use CAD and CAM, with the help of our engineers, based on drawings provided. Our production includes cold metal stamping and turning processes, using hydraulic presses. We also carry out wire electroerosion.